The color of the item may vary slightly due to the aberration. Exquisite handcrafted swing bell for yoga and meditation, sound therapy instrument, music instrument, decorate your home. 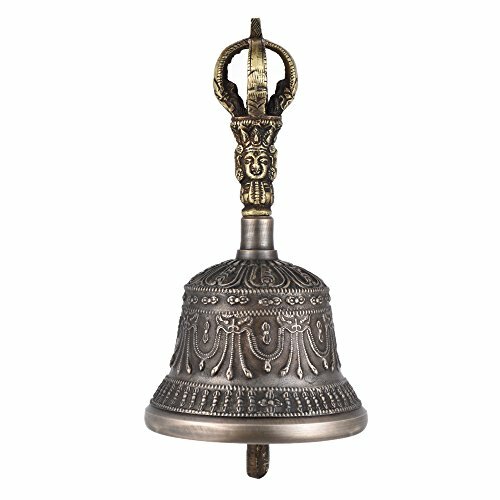 Use the Dorje to strike the bell, it will produce a pure, resonant and soothing sound. Essential Buddhism instrument for buddhist practice, especially representing the insights of wisdom. Made of high-quality Bronze, compact and exquisite design. Completed with swing rod, bell & Dorje.